You are getting this message either because you were trying to access something restricted to full members or you wish to upgrade to a sustaining membership. Enjoy the beauty of the greater outdoors and socialize with fellow members as a participant in our trips, trail maintenance programs and social events. Become a valued supporter and participant in our events and programs aimed at preserving the environment and promoting projects beneficial to this very special community ~ GayOutdoors. The easiest way to support non-profit and member supported GayOutdoors is to become a sustaining member. A Sustaining Membership has several advantages and as we grow, we hope to add even more. We hope that all of you who are guest members will take a few minutes and upgrade today. A Sustaining Membership is only $25 a year! You do not need a PayPal account to become a sustaining member however a PayPal account is automatically established upon payment. The website is owned and run by GayOutdoors. As with any online website and club, there are operating costs associated with hosting and running it. Your membership dues go to keep this incredible club and its website operating for gay, and gay-friendly outdoorzy guys. This includes providing trips/events, outdoorzy buddy matchmaking, links/articles, website upgrades, outreach/advertising, trails stewardship and much more. For many, this alone is worth a small price of membership. Sustaining memberships will ensure that we remain a nationwide resource for the gay community, that we remain a strong and viable nationwide organization and that we remain around. A Sustaining Member Badge appears in your profile that provides instant credibility and will increase your overall interaction with other members. Your profile will be rotated on our home page. A GO Sticker will be mailed to you to place on your car so that other outdoorzy guys can find you outdoors. Full access to member searches. Guest members are only allowed to view the first page of results. Priority profile ranking on all member search results and Who's Online. Find out which members have viewed your profile. Enlarge all the photos in a member profile. Throughout the year, we raffle off prizes to our sustaining members that include gift cards, outdoor gear, hiking books/maps, GO t-shirts, GO hats, gay lodging weekends and more! A hallmark of GayOutdoors through the years is the unyielding spirit of adventure shared by volunteers, board, and supporters. This is a truly unique nonprofit cause, built upon the hard work and ingenuity of an adventurous few and nurtured, expanded, and guided by people with that same vision and passion. Sustaining members demonstrate this passion by offering a higher level of support, and as such, enjoy an even deeper connection to the organization. As a sustaining member of GayOutdoors, you'll be invited to events with fellow sustaining members and GO board. Outings include social events, dinner meetings, camping weekends, easy outdoor recreation activities, picnics and more! You will receive our bi-weekly newsletter, Trail Mail, that shares club news, stories of interest to you, announce discounts to our sustaining members, photo contest updates, encourage you to post and participate in our trips, summarize upcoming trips and recent trip reports, FAQ, and so much more! Throw in a dash of humor and we'll entertain you while you are having lunch or dinner! 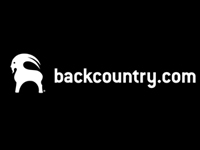 Backcountry.com provides a flat rate 15% off full priced items on over 500 brands, concierge level service, single point of contact, gear recommendations, and free returns/exchanges. There are some exclusions but they are pretty much restricted to bikes and kayaks. You will find the highest-performance outdoor gear as well as clothing and expert-level gear knowledge. This is hiking, camping, trail running, mountain biking, alpine and Nordic skiing, mountaineering, backpacking and more; all under one roof. Brand names include The North Face, Patagonia, Marmot, ArcTeryx, Mountain Hardware, Backcounty Access, Prana, Smith, Burton and more. The next time you purchase an item the discounts you receive could more than cover your annual GO membership! 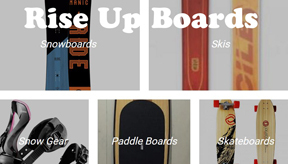 Rise Up Boards at West Hollywood, California provides a a flat rate of 12% off full priced items. If you purchase a Snowboard or skis and either boots or bindings you will receive a free lift ticket! If you spend over $100 on any winter item over $100 you can pick any hat up to $20 free! Spend over $200 & receive any winter gloves up to $40. The company philosophy is to create a neighborhood store atmosphere where customers can call or email any questions. We only sell products that we actively use and endorse. The next time you purchase a snowboard, skis, paddleboard, snow outerwear, snow gloves/hats or a wetsuit, the discounts you receive could more than cover your annual GO membership! 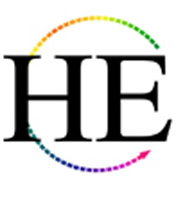 HE Travel provides GO Full Members a $200 discount on all of their gay adventure trips listed in their online catalog. You can apply this discount at any time however it cannot be combined with any other offers or discounts. HE Travel features small gay group tours, holidays, and vacations for all levels of physical fitness: from cultural tours that include leisurely walking, to easy-going adventures, strenuous hikes and high-adrenaline thrills. HE Travel tours are open to all travelers over the age of 18 who have a passion for exploring the local customs and flavors of every continent. Clients choose to keep coming back year after year because the tours are fun and adventurous, and HE Travel always takes care of all of your travel needs from start to finish! Whether you want adventure, culture, leisure or luxury, HE Travel has been the leader in gay travel tours and gay adventure travel for over 40 years, since running the first exclusively gay adventure tour down the Grand Canyon in 1973. 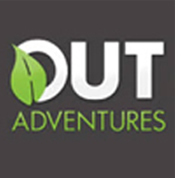 You will also receive $150 on all trips at OUT-adventures.com; and cannot be combined with any other offers. Choosing OUT Adventures means choosing eco-friendly, gay travel at affordable prices. There is no "gay premium" attached to their trips. That means going beyond supporting the gay community and supporting the communities we visit. By choosing OUT Adventures, you'll stay at locally owned hotels, travel with local guides, support local craftsmen and eat at local restaurants. And the supremely cool, Frog Meadow Farm Bed & Breakfast and Massage Oasis for Men in Newfane (southeastern), Vermont, will provide you a 10% discount on lodging. Note that this offer cannot be combined with other lodging offers, packages or specials. Frog Meadow is a welcoming, non-judgmental place for men of all colors and backgrounds to unwind and shed the trappings of busy modern life. Frog Meadow gets a big recommendation from GO. Big thumbs up. Situated on 63 acres with mountain views, extensive gardens, and a wood fired hot tub. Frog Meadow Farm is 30 minutes from the Appalachian Trail, Mount Snow or Stratton Mountain ski resorts and only 4 miles from the popular Rock River swimming hole. Swim in the pond, soak in our wood-fired hot tub, or enjoy our hiking & cross-country ski/snowshoe trails. The Inn At Mount Snow in southern [West Dover] Vermont, provides GO Full Members a 25% discount on lodging. Note that this offer does not apply on holiday weeks such as Christmas week, Martin Luther King weekend or Presidents week. Chris, the owner, is a GO member and has frequently joined us in our GetFit and GetWinter hiking series. He has a warm personality and will ensure you will enjoy your stay. The Inn's 14 recently renovated guest rooms, complimentary hot country breakfast and WiFi access, along with convenient location to the Mount Snow Resort and superior customer service, are just the beginning to an amazing visit to the Mount Snow region. The inn is located at the base of Mount Snow on a 10 acre lake and only 18 miles away from Stratton Mountain. Club Getaway in Kent, Connecticut, is providing GO Full Members $50 off for their LGBT weekend from July 27-29, 2018. Get outdoors in a safe and comfortable atmosphere for the weekend with other gay folks! This is glamping with comfortable accommodations in private, air-conditioned cabins with bathrooms; and delicious meals served all weekend! Evening entertainment includes a Friday night happy hour, live music, DJ & Dance Party, late night karaoke and of course, campfire with smores! They offer over 40 activities during the day to choose from including Ropes Course, Zipline, Mountain Biking, Trapeze, Hiking, Watersports, Yoga, Cooking, Wine Tastings, Organized Sports, Color War, Trampoline, and much more! The registration page does not provide much info about the facility...click on this Camp For Adults link for more info. Powder Ridge Mountain Park in Middlefield, CT, is providing sustaining members a 20% discount off skiing and riding on their night pass which is good Monday-Thursday. The pass is regularly priced at $24. Powder Ridge features 19 trails and four terrain parks, with multiple lifts for the beginner and advanced winter enthusiast. The ski area features snowmaking and lights on 90% of its trails. The terrain park has plenty of features for riders and skiers of all abilities. There are nine trails open at night, including top to bottom experiences. Becoming a Sustaining Member is very easy. You have two options to become a sustaining member. either make a check for $25 payable to GO and sending it to Gay Outdoors, 676 Upper Mad River Road, Thornton, NH 03285. Make sure you write down your user name and email address so we can upgrade you account. or pay online using your debit/credit card or PayPal account via our secured connection with PayPal. Your bank statement will say PAYPAL-GO. You have the option to choose for automatic renewals or for us to send you an email reminder with a link to PayPal to renew. Please take a moment by signing up using your credit card or PayPal account. These are secured connections. Note: The sustaining membership is applied as soon as transaction is approved by PayPal. This may take up to 24 hours.